« Would the Republican leaders of yesteryear have engaged in birtherism? A few weeks ago, upon hearing that a local film competition was being planned, I submitted a list of questions to the organizers. Well, I just received the following answers from Mark Ducker, the man behind the Ypsi 24-Hour Film Shootout. (As his response came in the form of one long message, I’ve broken it up a bit so that it would fit into the following Q&A format. If you’d like to see our unedited exchange, just let me know.) Online registration for the event, for those of you who are interested in participating, begins on September 1. 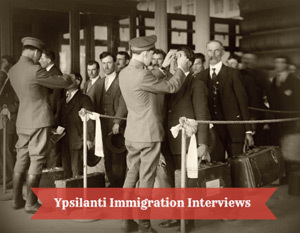 And the event itself is scheduled to begin at 6:00 PM on October 5, at Ypsilanti’s Mix Marketplace. MAYNARD: As you may know, the Ann Arbor Film Festival has overseen something similar here in the past, in association with Ypsilanti’s annual Shadow Art Fair. They called their competition Cinema Sports, and, by all accounts, people seemed to like it. The big difference with what you’re planning, from what I can tell, is the amount of prize money. While the organizers of the Shadow Art Fair gave out a few hundred dollars, I hear that you’re talking about a giving out over $2,000 in prize money. Let’s start there. Can you tell us how the prize money will be divided? DUCKER: I’m aware of the Cinema Sports competition… As for prize money, we plan the judges to make awards for first place, second place, and honorable mention. Plus, an audience award will be given to a “winner” picked by those in attendance at the public screening on October 7th. The entry process will online beginning on Sept. 1, open through Sept. 27. Only those who register via the online process will be eligible to submit a “film” to the competition. MAYNARD: According to your website, you’re looking for “Founding Partners” to help sponsor the event. What kind of sponsors are you looking for, and do you have any lined up as of right now? DUCKER: I am spearheading this event through my company, Wild Rose Pictures LC, with partner support from the owners of Mix/Mix Marketplace and WDEE-TV.COM… We are actively seeking sponsors at all levels, although given that YPSI 24 is a first-time event and the calendar is a factor, we are really looking to garner a “bunch” of lower level sponsorships (although I’m still very much receptive to another significant sponsor or two – say at $2000). The term “Founding Sponsor” is really a pitch to anyone/entity who would like to help get this inaugural event off the ground. 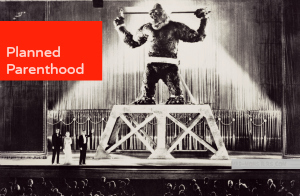 As you know, every event seeks a big “presenting sponsor,” but we’re new on the street and this is basically the wrong time of the year to have such expectations. As they say, wait ’til next year. I’m working on a promotion for sponsors at the $50 level to see how that goes. We have received a good contribution from the YPSI CVB that is big boost, as well as a sponsorship from the Corner Brewery, and an individual. The pitch goes on. MAYNARD: Will you be charging people to participate? If so, how much? 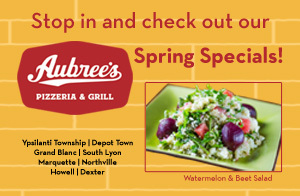 DUCKER: The entry fee is $25 (plus a service fee estimated at $2.50). MAYNARD: Ideally, how many teams would you like to have participating? DUCKER: We’re targeting 100 entries. MAYNARD: Who will your judges be? DUCKER: At this point, the three judges include a faculty member at EMU, an adjunct faculty member at WCC, and an area independent filmmaker. I don’t want to release their names yet as something has come up regarding the filmmaker’s availability, so I want to hold the names until I can make an announcement of the jury all at once. I may have to find a replacement judge. However, I do want firm commitments by first of next week. MAYNARD: According to what I’ve read, the winning films will be shared via a website called WDEE-TV.COM, which, as I understand it, is a Michigan-based internet television channel. Would I be right to assume that you have an interest in that as well? Assuming you do have an interest in WDEE-TV.COM, I’m curious to know what the long term strategy is. As it is, it looks like you’re just getting off the ground, offering non-copyrighted videos, and offering a broadcast platform for regional non-profits that have the capacity to produce video. I’m assuming, however, you see this evolving into something else. Could you perhaps talk about that? DUCKER: I have no “interest” in WDEE-TV.COM. That organization is a partner in this event and is offering support in getting it off the ground, including working with me to set up a kind of “YPSI 24-Hour Film Shootout Channel” for future viewings of the entries as well as profiles of the winning filmmakers. 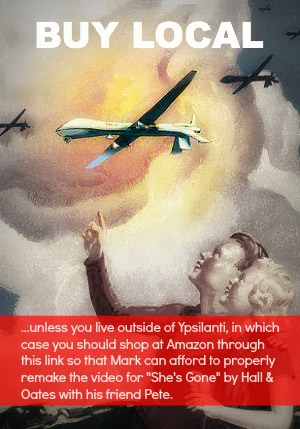 Any questions about the business model for the Internet TV station would need to go to the Manger, Tony Dixon. MAYNARD: Would WDEE-TV own the broadcast rights to the films that are produced as a part of this competition? MAYNARD: Other than announcing the elements that need to be incorporated into the film, on the day of the competition, are there any other restrictions, or things that people will need to be cognizant of? For instance, are there geographic restrictions, or can people compete remotely? Are there a maximum number of members that can be on any team? Will there by any guidance concerning genre? For instance, might you urge people toward comedy, away from horror, etc? DUCKER: There will be a short list of elements that each entry must include, and that list will be obtained at the Kickoff on October 5. The Official Rules can be found here. There is no limit to how many people can be on a filmmaking team. However, there must be a designated Team Leader who submits the entry and is the official representative. There is no geographical limitation to participation, but it can’t be “remote.” After entry, someone must appear in person to get the info packet on October 5, at the Mix Marketplace, and then the entry must be submitted in person 24 hours later, at the Mix Marketplace. I’m intrigued with the idea of a short turnaround film contest in which the entrants upload their work for an online review, but not for this one. I continue to talk with interested parties for future film events. As for the elements of the competition, the required length will be 4-7 min, with the genre being up to the filmmakers. There will be an overview for “taste” but that will be reviewed on a case-by-case basis, as the entries are viewed by the judges. We certainly would not air something of a “hate rant” or a portrayal of excess violence or gore (although in such short turnaround films, attempted gore portrayal is usually more comical than horror). The judges will have autonomous jurisdiction to determine if the entry meets the requirements and on the creative merits of each program to determine their awards. MAYNARD: It’s kind of a tangent, but I’m curious as to whether you’re aware of the Hump competition in Portland? DUCKER: I have not heard of the Hump competition in Portland. MAYNARD: It there anything else you’d like to say… perhaps about your long range goals? DUCKER: This event is a part of my plan for future “film events” in Ypsilanti, but this is one that, by its nature, will garner community engagement (and therefor promotable interest), especially for the community of filmmakers who enter the contest. This entry was posted in Uncategorized, Ypsilanti and tagged Ann Arbor Film Festival, Cinema Sports, Corner brewery, Film, film competition, Hump, independent film, Mark Ducker, Mix Marketplace, Shadow Art Fair, The Ipsy, WDEE-TV.COM, Wild Rose Pictures, Ypsilanti Convention and Visitors Bureau. Bookmark the permalink. Post a comment or leave a trackback: Trackback URL. If this works, it could be cool to have 100 teams around Ypsi on the same day, shooting video. $25 isn’t too much, but I’m afraid it may keep some people away, though. I hope it works. 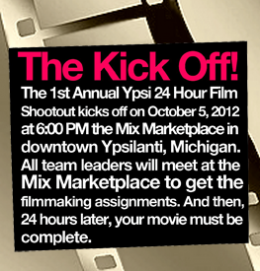 The Ypsi 24-Hour Film Shootout kicks off this Friday, October 5th at 6PM at the Mix Marketplace (200 W. Michigan Avenue, Ypsilanti, MI) when registered filmmakers get a list of elements to include in their movie. Once the official clock begins, the completed films must be delivered 24 hours later on October 6th to the Mix Marketplace. The YPSI 24-Hour Film Shootout is a community event for filmmakers to create a short film and share it at a community screening in downtown Ypsilanti at the Riverside Arts Center. Filmmakers and film lovers will come together for the screening of the entries on Sunday, October 7th at the Riverside Arts Center in downtown Ypsilanti at 4:30-6:30 pm. The lobby doors will open at 3:30. The announcement of the winning entries selected by the judges will be announced at this event. Tickets are $5 at the door. Immediately following the screenings, the Afterglow will begin at the Mix Marketplace where the winner of the People’s Choice award will be announced and sash prizes will be handed out to the winners as well. 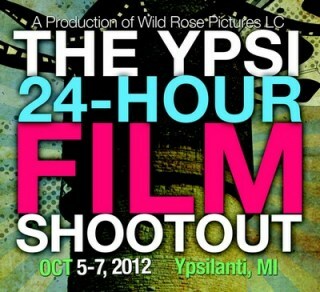 What: The 2nd annual YPSI 24-Hour Film Shootout℠ returns to downtown Ypsilanti, Michigan in September. To officially kick off the event, organizers are convening the YPSI 24 Mixer at the MIX Party at 6:30-9PM on September 11th at MIX (130 W. Michigan Ave., Ypsilanti), and is open to all. The Mixer will hosted by MIX and munchies catered by The Wurst Bar of Ypsilanti. All are welcome to meet & greet with filmmakers, film lovers, and other artisans learn more about the YPSI 24-Hour Film Shootout. 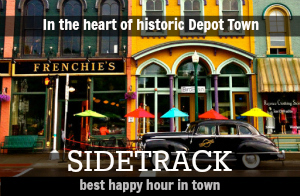 When: The Shootout Mixer kicks off at 6:30PM on Wednesday, September 11, 2013. The YPSI 24-Hour Film Shootout is a community event for filmmakers to create a short film and share it at a community screening in downtown Ypsilanti that brings together filmmakers and film lovers. And, there will be CASH prizes for the winners! 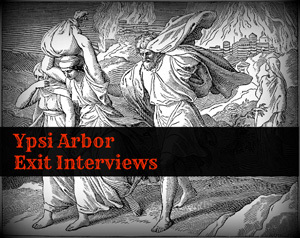 Look for more details at http://www.ypsi24hourfilm.com, Facebook, and Twitter! I’d like to swede “Innocence of the Muslims” right here in YPSI!